It's cold outside, and that means many patients are wearing thick socks to keep warm. But another thing patients are wearing more of... winter boots! 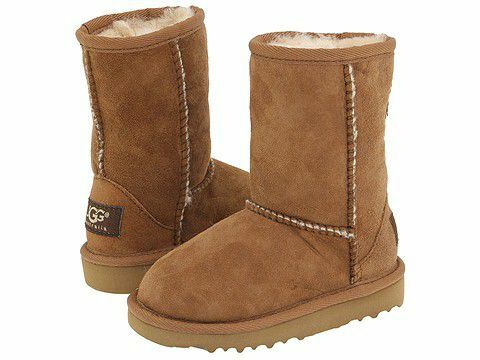 Especially the Sherpa or wool lined Ugg type boots, which I must admit, do keep the feet warm. Yes, they keep feet warm...but one thing that this causes is excessive sweating of the feet. This warm toasty environment also provides a warm, dark, damp, enclosed environment, perfect environment for other foot ailments such as foot fungus and warts. How do you prevent any of these ailments from invading your feet? Be sure to always wear socks with boots; do not wear them barefoot! I recommend a cotton blend over a full pure cotton; this allows the sweat to wick away from the feet and allows them to "breath." Also, our office offers a spray that I recommend to use on the inside of the boots 3 times a week, even for prevention. This is especially important if you have a history of warts and do not want that environment to encourage their return. So keep warm with those boots... just know how to take care of the feet inside of them.